As noted on Mining.com last week, some Americans are floating the idea of minting a trillion-dollar coin out of platinum to solve some of the US debt woes. Many people are probably wondering how the coin could work. 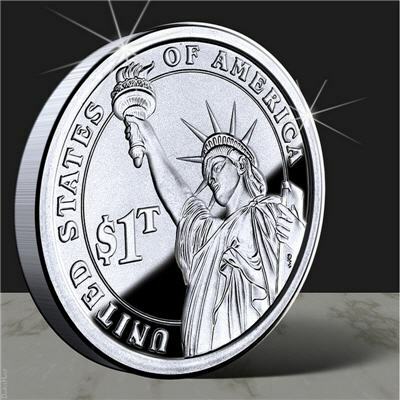 Today, former US Mint director Philip Diehl explained in a comment on the Pragamatic Capitalism blog how the proposed trillion-dollar coin of platinum would come about. The US Congress authorized the Treasury Secretary more than 220 years ago to handle money. In particular, the Secretary has complete discretion to produce all platinum coins, including the denominations. Diehl said this works like additional tax revenue or borrowing under a higher debt limit so there are no negative macroeconomic effects. Moreover, the trillion-dollar coin doesn’t circumvent congressional power nor raise the debt limit, it delays when the debt limit is reached. “Yes, this is an unintended consequence of the platinum coin bill, but how many other pieces of legislation have had unintended consequences? Most, I’d guess,” said Diehl in wrapping up his comment.